A couple of weeks ago I wrote several posts about resolutions and making plans to help you beat the winter blues. I have always thought that planning out things helps to solve the problems that I face on a daily basis, yet I have wanted something tangible that I can see in black and white to help me explain it to others. I did find such a piece when I took a mathematics additional qualification course a couple of years ago. It was in the Ontario curriculum, Grades 1–8: Mathematics (revised) document of all places. It is on page 13, figure 1: Problem Solving Model. This stage should be self-evident. I cannot tell you how many times I would have students come up to me and say, “I don’t get it.” Then I would ask, “Did you read the question?” Most of them would say ‘Ahhh no.’ ‘READ THE QUESTION’ I would say and then look in the question for the pieces you need to answer it. Others I would rephrase the question to emphasize the important information they may need. Basically what is the question asking of you: what is the problem? The best advise I say to people is talk to someone about the problem so you can see it for different angles, especially after you read it several times. Is there another situation that you may have seen a similar problem? I tell students don’t try and reinvent the wheel. Or in other words don’t start from scratch look at another situations where you solved a similar problem and try and rework it for this situation. In essence, “Make a Plan”, think of a strategy you used before and use that plan. Tweak the plan to fit your needs. Put you plan into motion. Draw, write, use objects to help you visualize the plan and then implement it. Use different tools to make you plan work, monitor it and make adjustments when needed. If you planned for something and you don’t need it, don’t use it. Why waste time and energy when you do not need it. Check you results, go back to the question to make sure that it actually answers it. Does it make sense? You have to go through the process again from the beginning to refine you answer or correct any mistakes you may have seen. Could you get the same result another way, perhaps and easier way? This way you can use that revised plan in the future. Last week was the final week at school before the winter break and I was fortunate to work in a grade 5 class for the entire week. I have supplied in that class before and the students all know me and I enjoy their company and quirky personalities. The teacher left her plans for me to follow but she also left me room to do a bit of what I’d like to do with them. She knows I have a visual art background so art of course was one of them, yet I also have a fondness for math. The lessons for the week were around measurement and one unit was on money. I did the lessons with the students but one thing came to my attention with a question from a student. She asked about why do we have to know about pennies when we do not use them anymore. I told her that this was an excellent question and she was one of many people, teachers, administrators and parents included who were asking the same question. I told her; even though we do not use them we still need to understand the math behind calculating making change and other necessary interactions when it comes to money. They mentioned the rounding up or down depending on the value. 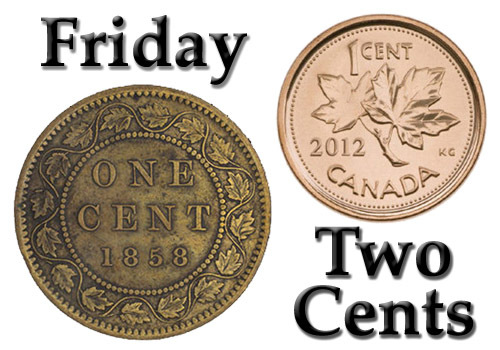 For example if the cents end with a 1, 2, 6 or 7 we round down to the nearest 5 or 10 but if the cents end with a 3, 4, 8 or 9 we round-up. They got that concept but a question came up, “Does the rounding benefit the consumer or the retailer?” I was curious and then I heard about a study done by an undergrad on this very subject. She found that the rounding is benefiting the grocery stories in the range of over $3 billion Canadian or about $157 per store a year. A spokesperson for the Retail Counsel of Canada disagrees with the finds but it does make me wonder. Therefore I made it a point to look at my purchases a little closely for this issue and I did notice that the bills of many favoured the retailer more than myself, the consumer. I noticed this a lot with small purchases like coffee or when I went out for a bit to eat. Yet I also noticed this when I bought groceries and during Christmas shopping. I for one do not like using the debit cards when making purchases I prefer cash. Yet this has opened my eyes a bit and I have been changing the way I shop. Most recently I no longer use cash when buying coffee at Tim Hortons, I use a gift card that I reload, with cash. This way if the bill is $5.88 I pay $5.88 not $5.90. On large purchases I use my credit cards but I think I need to get a cash card for the stores that I frequent so I can pay the exact amount without rounding. Upon reflection this is exactly what many people want, the beginning steps towards a cashless society. I know that I am not on the for-front of this but I enjoy using cash. It helps me to budget what I spend and how much. I also like the feel of it in my hand. 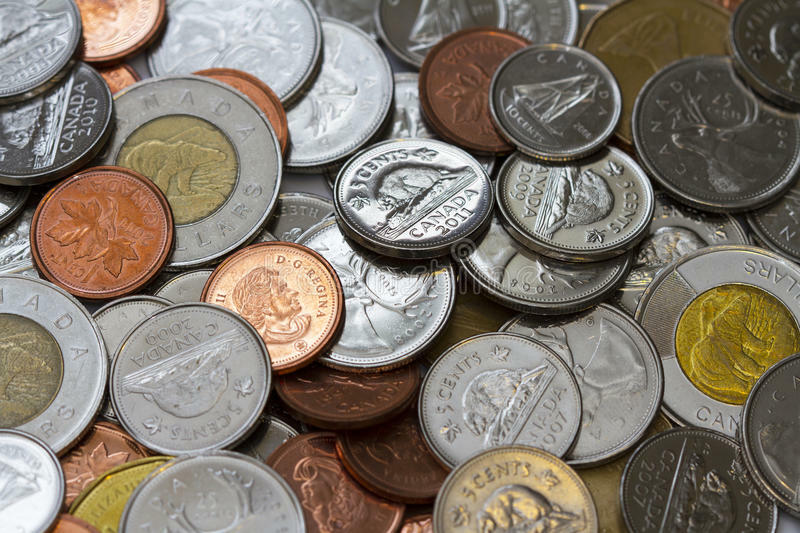 Every time I feel those coins in my hand I would imagine what someone a century, two centuries even a millennia or two ago felt like when making a purchase. I once found a bronze Roman coin dating back to about 300 AD and as I held it in my hand I wondered, who else held this coin? A slave, a blacksmith, a farmer or even a Roman Legionnaire who knows but just thinking it made me realise that now I was part of this coin’s history. 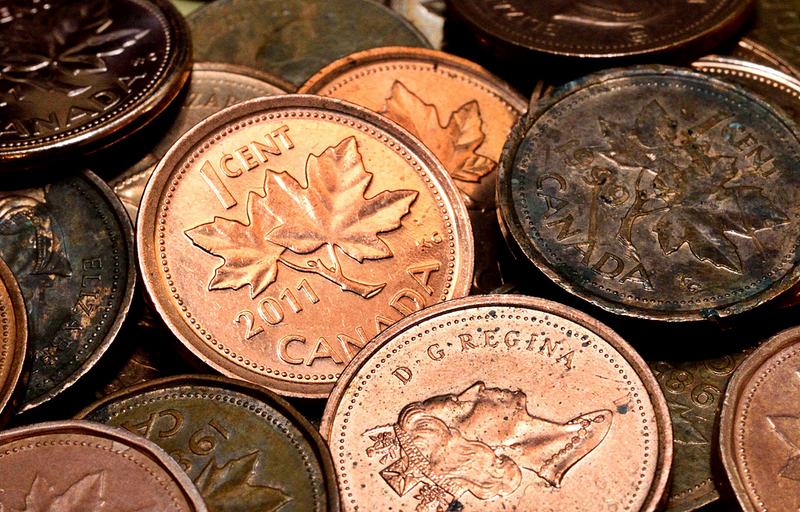 Money, coins in particular have been around since the beginning of civilization, it is a part of who we are. It is a way for us to remember where we came from and be apart of history instead of just observing it. My two cents and my new years goal is that I will probably go cashless on many things, just to make sure that the system benefits me more than the retailers. However in my heart I will probably still use the age-old traditions to help me with this goal, if only to remind myself and imagine a simpler time. This week and next I will be working in a kindergarten class where the teacher has asked me to present a lesson centred on math. Math has always been my favourite subject second only to art and when given the opportunity, I raised to the challenge. It is the beginning if the year and I know that these students are new to counting, especially in French. So I decided to begin by seeing how much do they know when it comes to counting. I came up with several activities to help them and the teacher assess where the students are in their math skills. I began with some activities with the students using 10 frames, rekenreks, printing the numbers and a bingo game with snap cubes. I noticed a few things that made me see that no matter where I go and with whom I work with, children learn a lot though play. Several of the activities are centred on a play base system. Yes they are doing their work by learning to count in French and they are printing the numbers but to get to those numbers they have to use a spinner like you would use in a game. 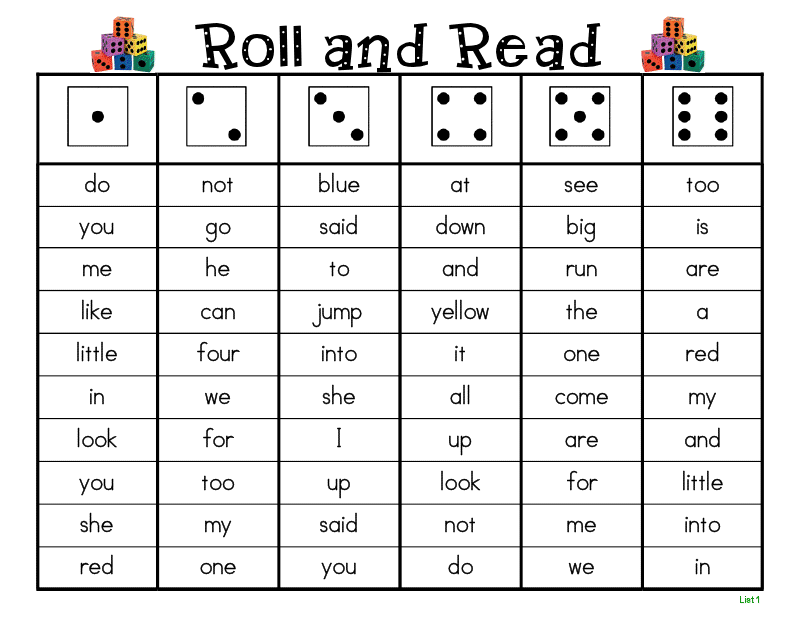 And the more I and the teacher played / participated in the activity, the more the students, 1) appeared to enjoy it, 2) hopefully learn something from the experience and 3) we learned where each student is in their counting. These activities I did with the students are a clear indication that Plato’s words ring true. This past week was the first week of my summer vacation, yet instead of going away somewhere or doing some work around the house I decided to improve my teaching knowledge. 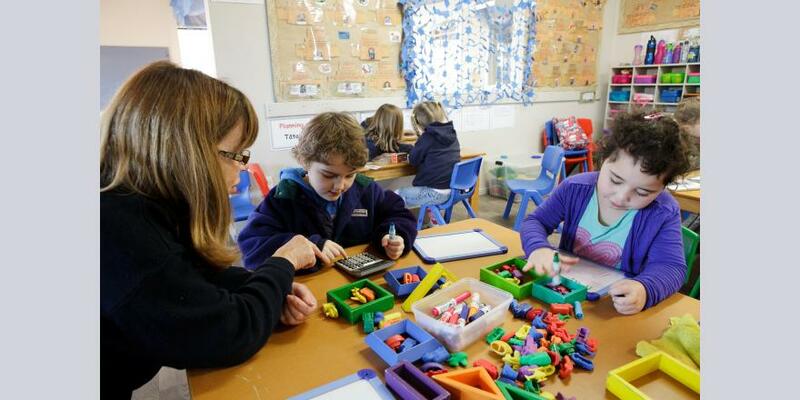 I decided to take an additional qualification course (AQ) in mathematics for the primary and junior grades. Many people asked my why I would take such a course because I am more of creative person who enjoys art. Other said “YUCH!! I hate math.” or “I was never good at math.” Many people had a negative experience with math in school. Yet truth be-told, I have always enjoyed math since an early age and it seems to come natural to me. Yet I have discovered that knowing how to do math and teaching it is a lot different. I wanted to increase my knowledge in the subject matter to better help the students understand math and perhaps enjoy it as I have. The course has been very eye-opening yet there was one notion that made me pause in refection. As part of the course I read a chapter from a book entitled, ‘Adding It Up: Helping Children Learn Mathematics’. In it you are made to try to understand what are numbers. 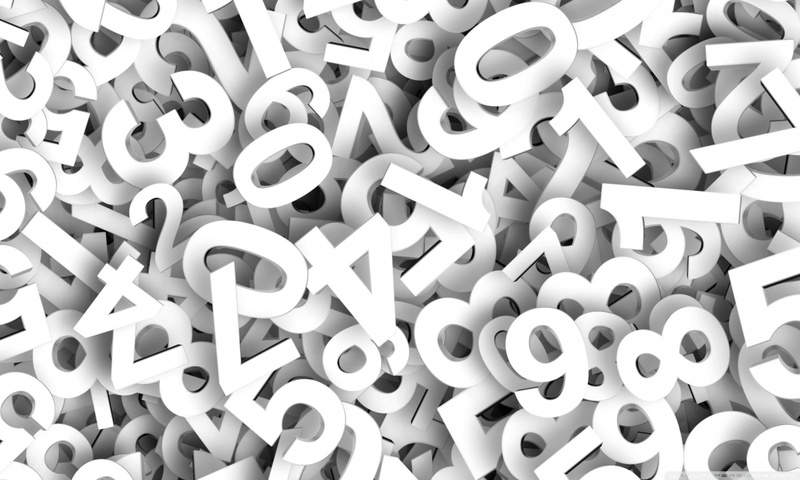 The professor then posed a question… ‘What statement best captures your understanding of “number”?’ – Number are ideas, nouns, adjectives or something else? When I was first asked the question my first thought was that numbers were quantitative / measurable units. Yet after the first lecture and reading the chapter I am starting to see that numbers are a lot more that I gave them credit. Numbers are what we make them to be. They can be apples, cars, money, people or even time. Without the context of what the number is, it is just a digit, a visual image representing something but we are not sure what. When you say 5 what is five? Not until you say five cars does the number have value. I never thought of this concept but it makes sense. Numbers are ideas, nouns and adjectives. They are all of these and more. It puts into perspective the idea of giving the students equations. The concept of 1+2=3 is good if you are doing high-end mathematics, yet we are talking about students in the primary and junior grades, children from ages 3 – 12 years. This reminds me of when I took calculus in high school and university. It is all about numbers being part of an equation that needed to be solved. Yet I remember using many similar equations in physics when doing formulas. We knew that each variable represented something (f = force) and we would plug-in numbers to calculate the values. Even back then there was value to the numbers like mass (m) or speed (m/s) yet I never though of that when I would be teaching math. This has definitely changed my thinking around how I present and instruct math. But it has also helped me to know what I can say to parents about, what people are calling the new way of teaching math. I can help them understand that numbers are ideas, nouns and adjectives. That the numbers are only part of the lesson, that we are helping the students to connect the number to their own life and thereby allow them to carry on this knowledge into their every day life. This has only been a beginning of my journey to understand and help others understand math. There is a lot more to learn and with time, practice and perseverance I know I can improve my knowledge of how to teach math to the students. Perhaps even change society’s negative preconception on math. Last week we sent out the newsletter and the latest instalment of, The Craziest Things along with it. This month’s comic continues the battle of when to use technology and when not to. Or more importantly, can the new generation of students do the work without it. This scene has been played out to me, not word for word but very close to this scenario. For my practicum placements the one subject I always taught was math. I find it easy to understand and whenever anyone had difficultly teaching it they would always come to me. I too had some difficulty in the beginning because I understand the subject at a high level but how was I to bring it down to the students’ level of understanding. I found a happy medium by when to use technology and when not to. Using a pencil and paper instead of a calculator that sort of thing. 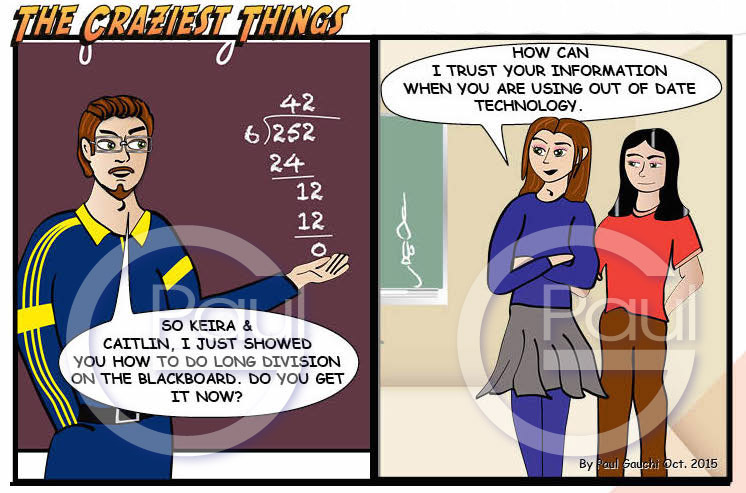 I came up with the comic and the students seemed to like the outcome I hope you too will enjoy, The Craziest Things; Comic Strips: Out of Date Technology. During my practicum I had the opportunity to do the art lessons with the students. They are the younger primary but I wanted to do something that was different and challenging with them. Yet I also taught different lessons though out my stay there. One of the areas was Math. 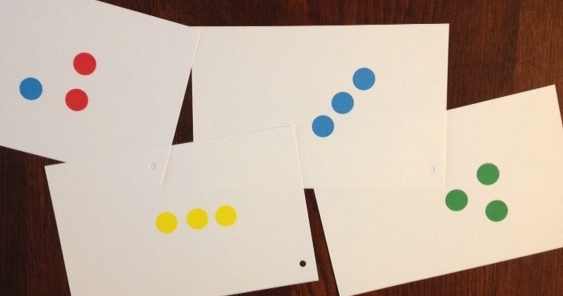 Yes many people do not like to teach or even learn math, but there are ways that you can introduce math concepts that are both fun and educational. Students will explore what shapes they can create using the boards and elastics. They can create, rectangles, squares and different shaped triangles. 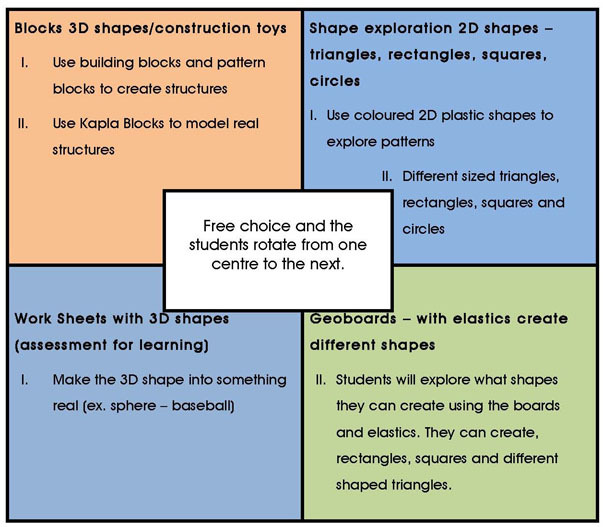 Circulate around the room and observe and listen to what the students are calling the shapes. Are they using the proper terms? What are they calling the 3D shapes? How are they using the material? Is their something you saw that you did not expect? Have a timer (I use an iPad timer displayed on the screen) to allow the students to explore the different stations. Many people may think that this is not Art just a math lesson. But I say when you create something don’t you use shapes. When you paint a picutre of a flower doesn’t it start with a circle? Or when you create Mondrian Art isn’t it divided into geomentric shapes? Math and Art are a part of each other. It is a match like ice cream and chocolate fudge. They are great apart but fantasic together. Below are some images of the lesson. Who said that art and free expression are not part of learning math?